The sword-blade is made from polished stainless steel, while it features a traditional longsword design, including straight edges a broad tip. The sword hilt is almost completely blue, with a single yellow triangle at the base of the blade. The wide guard seems to emulate opened wings, while the gently grooved grip provides a secure hold and a subtly shaped scent-stopper pommel. 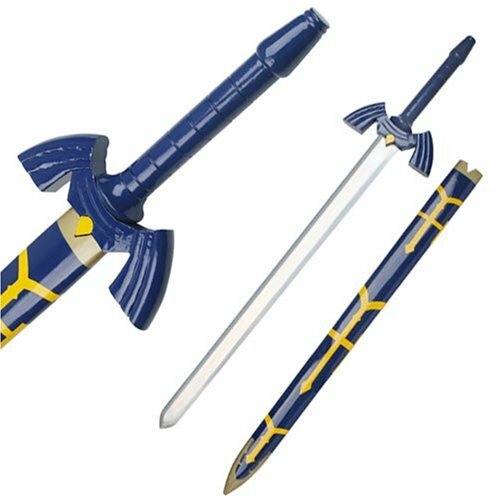 Included with the sword is a wooden scabbard in blue, with golden-yellow lines forming a striking pattern across its surface.